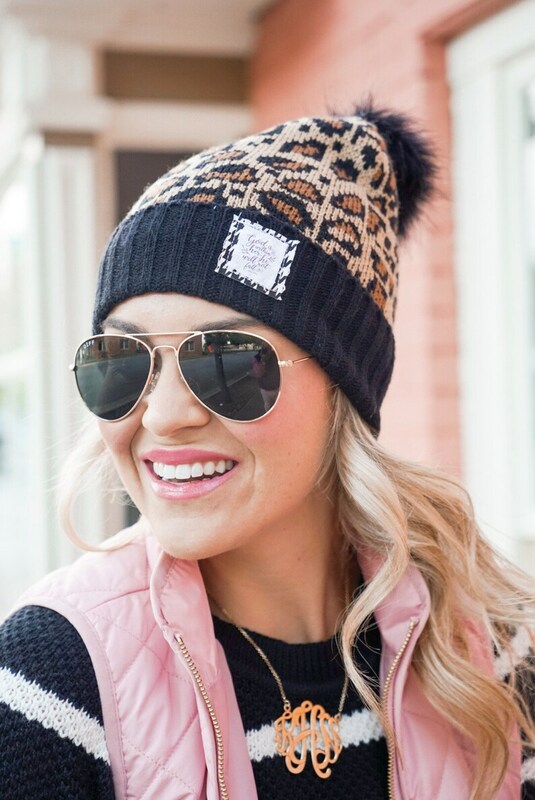 This is a super cute leopard beanie with a pom on top. The bible verse is psalm 46:5 and the fabric is 100% acrylic. Thank you to the beautiful Kirstin from Styled by Sequins blog for these awesome photos and for featuring Scripture Scarves!